A while ago I've shopped these two items on Roseroseshop on Ebay, because I was in need of a repurchase of one of my most favorite cleansing waters. 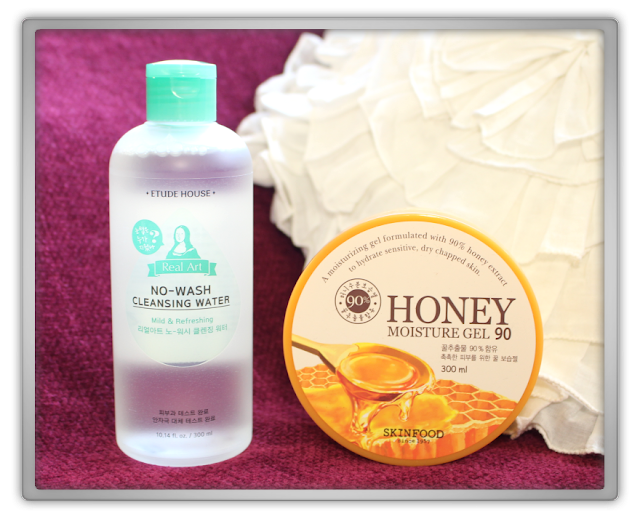 Then saw Skinfood had a new arrival: HONEY moisture gel.. that must be good; we'll see! Are you ready for the review!? Removed Mona Lisa's eyebrow! Real Art No Wash Cleansing Water. Thanks to micro emulsion of water soluble remover, there is no need to use water to remove makeup. Similar to pH of skin. So no worries. Green tea extract and Herb components soothes skin. Soak the cosmetic cotton and sweep according to skin texture. Push point makeup for 5~10 seconds and sweep. Soak another cosmetic cotton with toner and sweep according to skin texture. You can finish with water if you want. This was a repurchase and you can view the full review and preview here. This cleansing water is really one o my favorites. First choice would be the ATRUE Sweet Song Black Tea One-step Cleansing Water, but that is quite expensive but so lovely (one of these days..) But for everyday this cleansing water is perfect. I have used the Innisfree - Green Tea Pure Cleansing Water, but it's a bit boring, there is nothing really special about this product. When I do my skincare routine I want that my products make me smile when I apply it. Truly, I look like a fake Korean skincare commercial when I do my skincare routines xD. 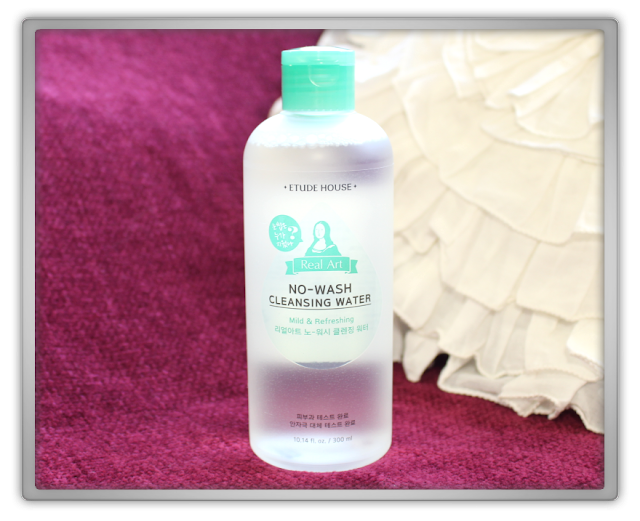 I'm currently using this the Etude House Wonder Pore freshner which I thought was kind of of a cleansing water/toner. Well the thing is it removes the last bit of residue after my cleansing routine. The downside of this product is; in winter it's a little drying on the skin, which will iritate my skin during the next steps of my routine. So time to open up my new bottle of favorite cleansing water. 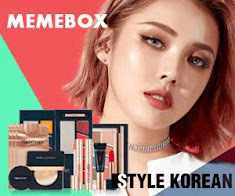 They also have a new one now; which would be more hydrating for the skin. I might try that after this one. I highly recommend this cleansing water. A moisturizing gel formulated with 90% honey extract to hydrate sensitive, dry skin. Apply for immediate hydration and soothing relief on face or body. Great for dry skin. Use as needed. I had such high hopes for this product, but Skinfood let me down. I've hoped this product would smell like delicious Honey, but it doesn't! It doesn't even smells really nice, it's just cold, fresh and boring scent. It's really nothing like honey. The product itself is just like any other soothing gel we know. Jelly, clear and very wet. I will leave this product closed for Spring & Summer. Since I really enjoy body butters in winter time. So would I recommend it if you want a basic honey based without scent soothing gel for spring or summer, yeah maybe. But if you are a honey addict like me, stay away from this product it only makes you cry. See you in my next one!